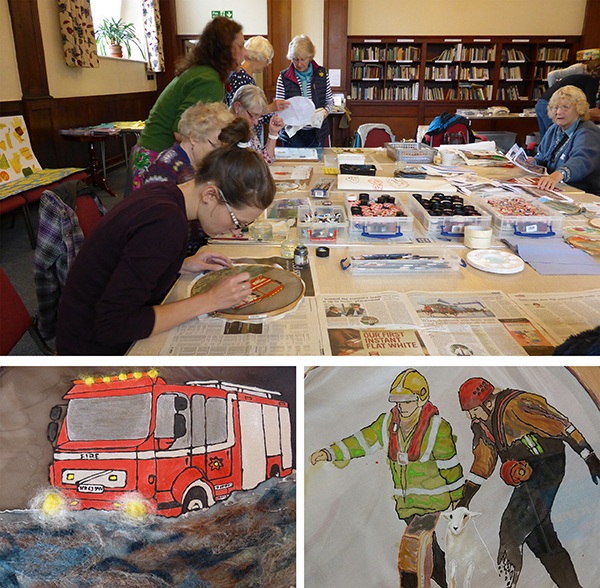 The Flood Tapestry Project- creating a stitched story of the Kendal Floods – a wall hanging. By 2018 our resident 77 tapestry panels will be joined by a community project panel, recording the events that occurred in our ‘old grey town’ when Storm Desmond hit in December 2015 and the town was flooded. 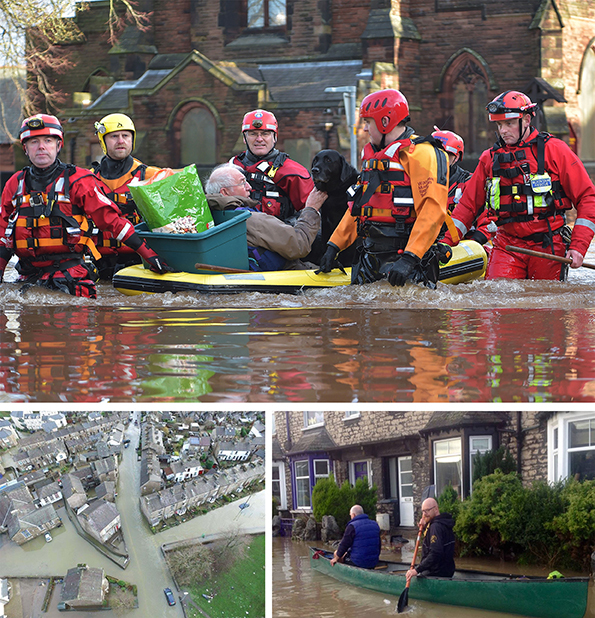 When realising the project we felt for prosperity it is important to record the voices of those who were affected by the flood and to celebrate the remarkable resilience of our community when faced with disaster. The idea of coming together to capture in textile form significant events that have shaped and will continue to shape us is not new, we can see that from the Bayeux Tapestry. Our very own Quaker Tapestry brought together 4,000 men, women and children and is now a captivating legacy. So we know there is real value in reflecting the impact of big events as a community, rather than as a solitary experience. We launched the first event in December 2016. We met in the museum so everyone had the opportunity to look round the Quaker Tapestry, which provided the inspiration for the project. We were pleased to welcome many individuals from the local community sharing their experiences and expertise. 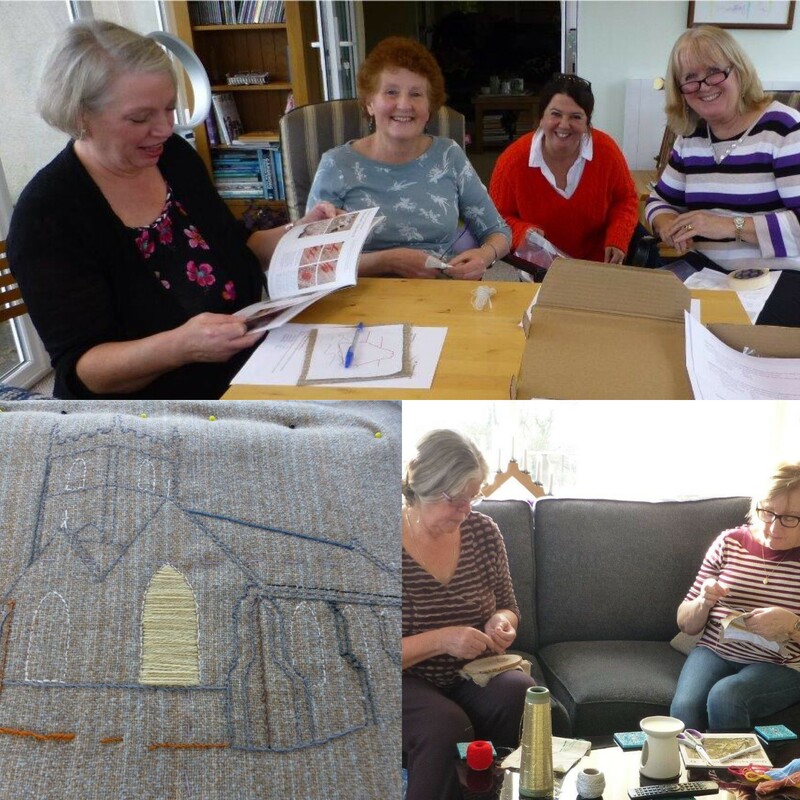 Everyone had the opportunity to meet our commissioned textile artist Donna Campbell, we had interest from schools, youth groups, churches, community organisations and other groups, forging connections and identifying some key geographic areas to concentrate our workshops in. Anyone can contribute to the project regardless of their crafting or artistic ability as the stories people have to tell are just as valuable to this project. Informal and fun workshops, run by textile artist Donna Campbell, will go to community groups and schools throughout 2017. It will be an uplifting, hopeful and rewarding experience for all. Please watch this space for information on our workshops and events. If you would like to express interest in the project, or find out more, please contact Bridget Guest by email at bridget@quaker-tapestry.co.uk or by phoning 01539 722975.
Who would have thought Quakers would be so interesting!